Student transport vehicles including school buses, vans and other vehicles see heavy use and need to operate with the highest levels of safety and reliability. Pacific Power Group is trusted throughout the Western U.S. to provide Allison transmission sales and school bus service with rapid turnaround times that keeps student transport vehicles out of the shop and on the road. Our service team can provide engine and transmission repair and additional services that go above and beyond your own preventative maintenance program. Our technicians are factory-trained in the latest techniques and have years of experience servicing school buses from Thomas, Blue Bird and more. 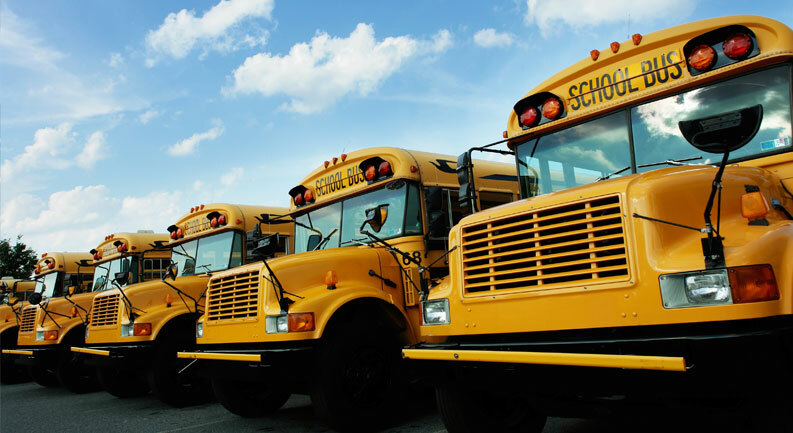 We understand the major impact that downtime has on your school bus fleet. Our service team makes fast, quality service a priority so that you can get back on the road. We use only genuine factory parts from Detroit Diesel, Daimler Trucks North America/DTNA, Mercedes and Allison Transmissions that are of the highest quality and best value. Allison Transmission’s School Bus Series offers proven reliability and the highest levels of safety for student transport vehicles. Allison Transmissions provide maximum comfort and are designed to withstand the rigors of heavy-duty use while providing outstanding value. Our team has decades of experience servicing Allison Transmissions and can provide rapid, best-in-class service for your transmission. Our expert service team offers a wide range of services, from chassis repair to engine overhauls and repowers, with rapid turnaround time. We specialize in service for Mercedes engines, Daimler Trucks (DTNA) and Allison Transmissions. Learn more about our service offerings at our locations in Kent, WA and Anchorage, AK.